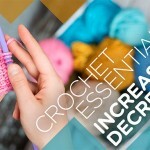 Today I’m getting on a plane… and going somewhere to do something with crochet… and I can’t tell you about it just yet! Secrets, secrets, tsk tsk. But what I *can* do is offer you a special deal to make up for it! If you haven’t signed up for my Craftsy Class, Quick & Easy Crochet Cowls with Lion Brand, then NOW is the time! Seize the day – and the savings! 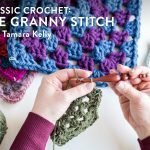 CLICK HERE TO GET QUICK & EASY CROCHET COWLS WITH TAMARA KELLY FOR 50% OFF!! This is the biggest discount I can offer, and the last time I’ll be doing it for a while. So get it now while the getting is good – and then watch it whenever you like! (And get a jump on those holiday gifts while you do!) It’ll be going back to the regular price in one week! And here’s a little something for the knitters too! Click the photo below for a free Craftsy Knitting eGuide! Any wishes for safe travel are much appreciated! Don’t worry – there will still be a new post every day this week! Get Moogly on your favorite social media sites: Facebook, Twitter, G+, Pinterest and Tumblr, and sign up for the FREE Newsletter so you don’t miss a thing! I Filmed a Craftsy Class – and I’m Giving It Away! I am on this! Can not wait to hear your secrets, too! You know what they say about secrets, right??? A secret is something you tell ~~ one person at a time! Blessings on your trip and we trust ABBA to keep you safe! Hey Tamara, I tried to open the link, but it is broken. No avenues to sign up for the offer. Sharri just go directly to craftsy.com and search Tamara. It came right up! Thank you Linda! Going there now. Tamara, keep us all posted on your travels. Here’s wishing you safe travels! Thanks! Signed up, yarn and hook ordered! Yeepie another Christmas gift!!! Safe travels! Safe journey!!! Wish we could all go with you.